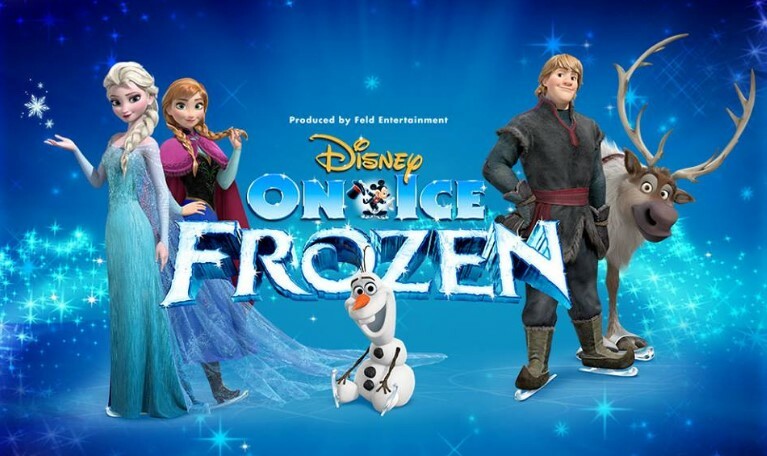 Disney on Ice Presents: Frozen – Live in your Home Town! If you want to treat your kids to the entertainment of a lifetime, then Disney On Ice’s Frozen should definitely be on your list. In fact, it is a perfect time to take a trip down memory lane, back to your childhood when you couldn’t wait for Disney cartoons to play on TV or be on your best behavior in order to get the next Disney book as a birthday present! What can you expect from a live production of ‘Frozen’? The film has managed to gain tremendous popularity over the world with dedicated fans of all age groups. If you haven’t seen it yet, it’s recommended you do so, because the play is a shortened version of the Academy Award award-winning movie. It promises a winter wonderland that you have never seen before. You get to experience the magical world of Arendelle, with a good dose of jaw-dropping special effects and smooth skating skills thrown in. This is a great chance to see this movie transitioning from reel to real, which is fascinating to say the least. The story outlines the relationship between royal sisters, Anna and Elsa. Anna with her heart of gold and sets out on a journey to find her sister, the magical Elsa who is unable to control her powers and fears that she will be discovered. That is why she wishes to live in seclusion, so she can test her powers without restrictions. Anna is aided in her quest by rugged mountain man Kristoff, his every-loyal reindeer Sven, the adorable and hilarious snowman Olaf and the mystical trolls. The underlying theme of love conquering fear had been portrayed brilliantly on-screen, which boosts the anticipation in this case. As the audience, you also get to participate in the iconic songs such as “Let it Go,” “Do You Want to Build a Snowman?” and “Fixer Upper.” The show will captivate your attention with sophisticated lighting, props, projections and pyrotechnics to create some dazzling special effects as mentioned before. Whether it is the ice monster, or the fountain frozen by Elsa, it will be exciting to see how they pull it off! Frozen is hosted by Mickey Mouse and Minnie Mouse who guide the audience through the plot as the story unfolds, with special appearances by numerous Disney favorites like Disney∙Pixar’s Toy Story and Finding Nemo and Disney’s The Lion King. It is a sweet and emotional journey to discover true love!